The difference that PE and sport make to the lives of our children is quite remarkable. At our school we have a culture that encourages all children to be active and have a positive attitude to physical activity and equally a healthy lifestyle. Children at West Bretton enjoy PE, sport and physical activity and we provide a whole range of opportunities for our children. It is our aim for each child to find something they enjoy and can be successful in. We recognise that physical education is a unique and essential contributor to the development of the whole child - physical, academic, social, emotional and spiritual. We endeavour to deliver an outstanding PE curriculum and offer a wide variety of activities both in and out of curriculum time. Children learn that being active is fun and an essential part of a healthy lifestyle. At the beginning of their school life children learn and explore basic movement skills, developing these skills over time as they progress each year. We have a whole school plan that rotates every two years and this ensures total coverage of the National Curriculum. During Foundation Stage and Key Stage 1 children experience dance, games, athletics, gymnastics and lessons through enjoyable and stimulating teaching. At Key Stage 2, in addition to those taught earlier, pupils go off site each week for swimming lessons. They also go on a residential which covers the adventurous activities part of the curriculum - showing them that being active and healthy is not only found indoors - a particular favourite activity from the residential is the piranha pool! At West Bretton we are lucky enough to have a large trim trail within our grounds - this is also used as part of our outdoor and adventurous PE sessions. In gymnastics children use the large apparatus which enables them to develop their gross motor skills (climbing, jumping, balance etc). We play a wide variety of team games and take advantage of our playing field for outdoor activities of many kinds. During the summer all children have athletics lessons and learn the fundamentals of running, jumping and throwing events and are fortunate enough to attend many athletics events at our local secondary school. We participate in local, regional and even national competitive sport. Whilst we are not able to take every child to every competition we happily send as many teams as possible to events and tournaments and have made a commitment to ensure that every child at our school from Year 1 to Year 6 has the opportunity to represent our school as least once during each academic year, if they wish. Sporting competitions and events we take part in each year include multi-skills, football, hockey, netball, cross country, rounders, cricket, athletics, minilympics, benchball, rugby and many more. We believe in healthy competition, teaching the children to do their best and be gracious in victory and defeat. At West Bretton, our PE curriculum is enhanced at lunchtime by Sports Leaders and the Sports Council. Older pupils take on the role of leading lunchtime games, and they are selected and trained in the autumn term. Children also have access to a variety of sports equipment to make lunchtimes an active time. 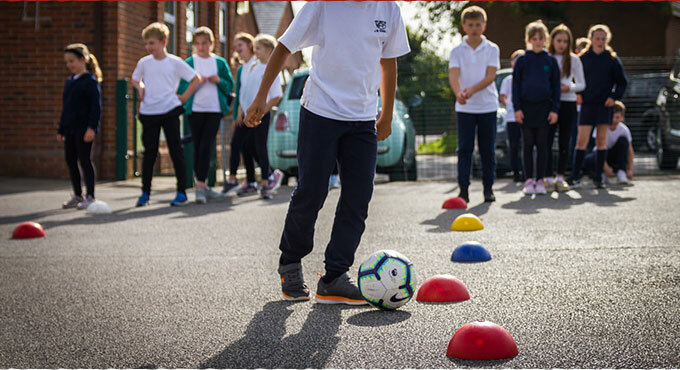 The children benefit from a wide variety of before and after school clubs, some of which are led by teachers, teaching assistants and coaches from local teams. These include netball, wake up shake up, dance, Zumba, team games and multiskills.